The history of Durrani influence in northern India is of extraordinary interest to understand well the decline of Mughal empire and the successive growth of the power of the East India Company. The first time Ahmad Shah invaded Hindustan, the Mughal imperial army checked his advance successfully. Yet subsequent events led to a double alliance, one by marriage and another politically, between the Afghan King and the Mughal Emperor. The battle of Panipat was the effect of this political alliance. After the victory of Panipat, Ahmad Shah Durrani actually was Shahan Shah not only of Afghanistan but even of Hindustan, when the lawful Mughal Emperor Shah Alam II could not strike coin bearing his name nor order the Khutba to be read in his name before Ahmad Shah allowed him to do so. The influence of Durrani monarch continued in Northern India up to his death. All the eyes were always turned towards Afghanistan whenever a new danger appeared on the political sky of Hindustan. Durrani influence suffered a setback with the succession of Timur Shah to the Afghan throne. Ahmad Shah's son was not a conqueror and preferred the easygoing life of the court to the strenuous exercise of a military campaign. Totally different was his son Zaman Shah who would easily have resuscitated the glories of his grandfather in Hindustan but for his cruel tendencies and for the ambitions of his brothers fostered by no less ambitious courtiers and even by the British from India. During his time the Muslims in India looked at Zaman Shah as the savior of Islam in India and the British feared him as the real menace to the prosperity of their business in India. His relations with Tipu Sultan, with the deposed Nawab of Awadh, Vazir Ali, and the brother of the Nawab of Dacca, and his probable alliance with Napoleon Bonaparte, cause great fear among British authorities , both at home and in India. The storming of Seringapatam and the consequent death of Tipu Sultan was partially affected by the wish to destroy his influence in southern India ; while the treaties signed with Fathe Shah, King of Persia were also caused in order to put a barrier between Afghanistan and the French. All this finally led to downfall of Zaman Shah. Similar fate awaited Shah Shuja, the most capable among the descendants of Ahmad Shah Durrani. 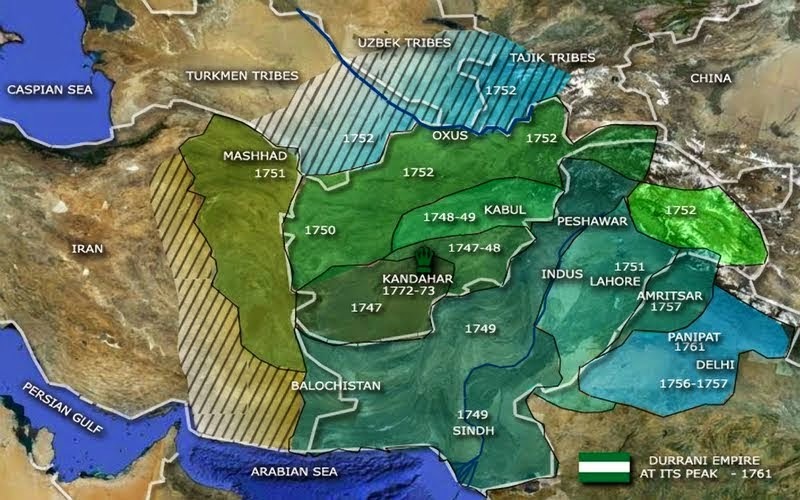 The internal troubles of Afghanistan were the cause of ruin of Durrani influence in Hindustan. Ranjit Singh who set his throne upon the fragments of the Durrani power in Northern India enlarged his revenue and even his territory at the expense of Barakzai sardars when no member of Saddozai family occupied the throne of Kabul. 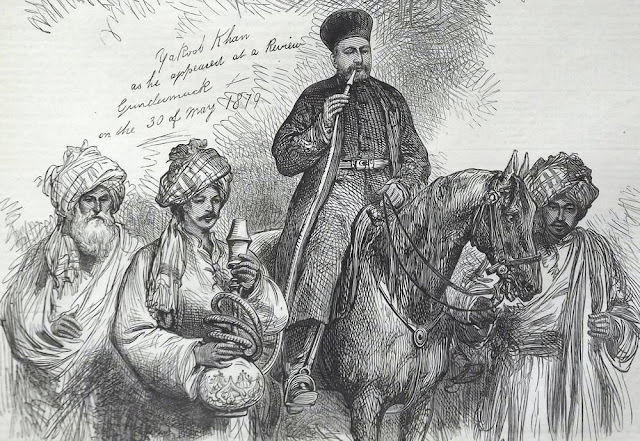 The end of the influence of Durranis in Northern India was finally reached when a power of Northern India commenced influencing Afghan politics. Such was the effect of first Afghan war when Shah Shuja was enthroned at Kabul through the military help rendered by the British nation.